Acropolis pictured here, would have seen the constellation Draco tower above them. 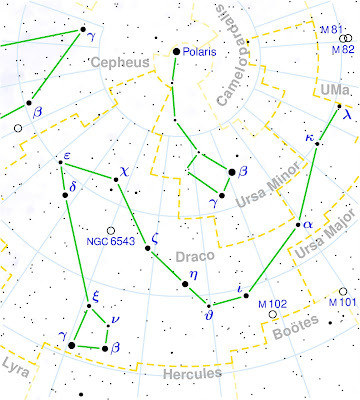 A sky map of Draco, a constellation located near the north star. Map by Torsten Bronger CC attribution share-alike 3.0 unported. 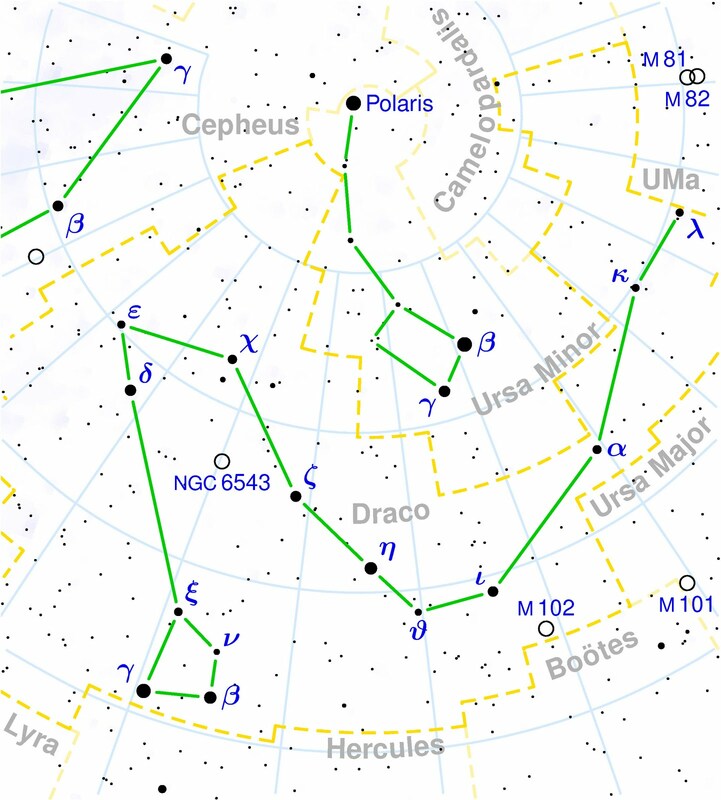 Professor Boutsikas found that at the time of the Panathenaic festival the constellation Draco, a string of stars that look like a dragon, rose above the revellers – appearing prominently in the night sky. Ironically this constellation has been making headlines the past two weeks as modern day astronomers have detected a massive explosion in it, a cataclysm that may have been caused by a star wandering near a black hole. Boutsikas argues that the rising of Draco would have been used to designate the start of the games. “Stellar observations, in addition to the luni-solar calendar, were widely used in Greek timekeeping,” she writes. Some say that this dragon was thrown at Minerva [Roman name for Athena] by the Giants when she fought them. Minerva, however, snatched its twisted form and threw it to the stars, and fixed it at the very pole of heaven. And so to this day it appears with twisted body, as if recently transported to the stars. To the people of Athens this dragon would have remained there for all eternity, moving around the heavens. 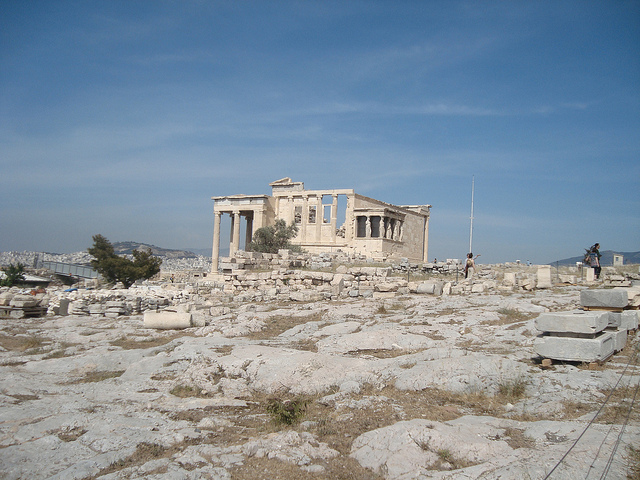 Each summer it would rise above the Acropolis, commanding the night sky and signalling the birthday of the goddess who put him there – Athena.